Hi there! And Happy Halloween! October 2016 is almost over – and this means it’s time for the October Beauty Awards – a.k.a. my monthly favourites. As always, I picked three favourites from all the products I’ve reviewed this month. You could say I’m dishing out imaginary gold, silver and bronze medals! 🙂 And I’ve included a few honourable mentions as well. Now let’s get started, shall we? 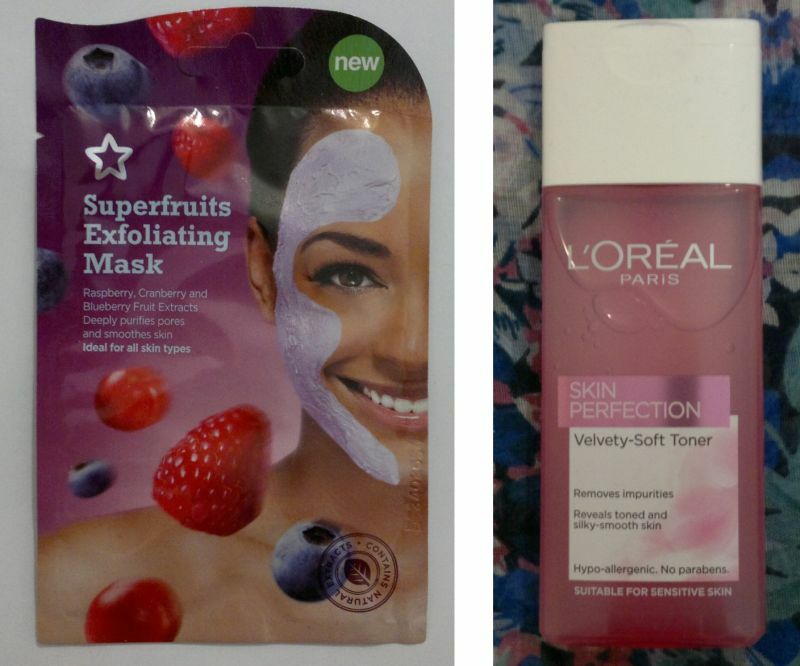 Superdrug’s Superfruits Mask is the best face mask I’ve ever had. It’s brilliant! It seems to be out of stock online at the moment, so I hope it won’t be discontinued. Fingers crossed! L’Oréal’s Velvety Soft Toner is… velvety soft. I’ve never felt anything like it. I will use this one regularly, no doubt. 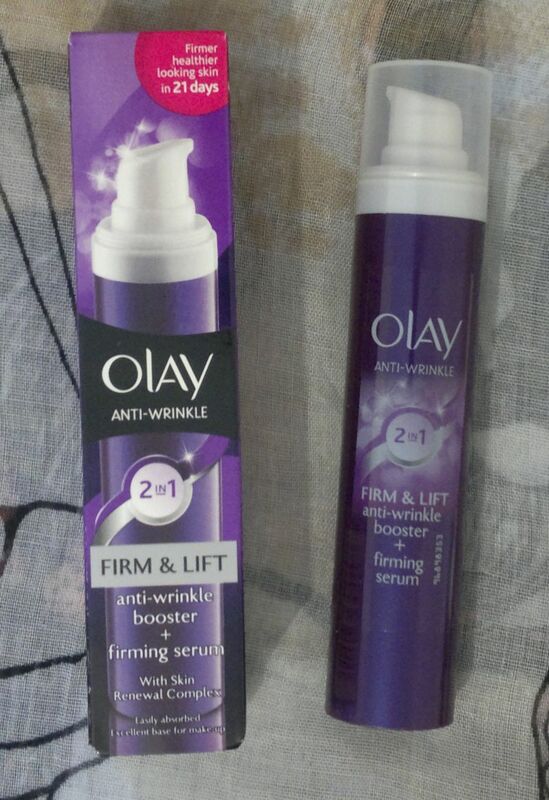 You really must try Olay’s Anti-Wrinkle Booster + Firming Serum. It feels like a mix of liquid silk and velvet and it makes my skin feel wonderfully smooth and supple. It’s an 11 Stars product! Now on to the honourable mentions! I really like Garnier’s Skin Naturals Fresh Radiance Boosting Scrub, Superdrug’s Leafy & Lovely Hand Lotion and Superdrug’s Mango & Papaya Body Scrub. And Anovia’s Fragranced Body Mists With Fruit Extracts have shown that “Made In UK” doesn’t mean a product has to be expensive, and that a cheap product from a bargain store can be surprisingly good! What do you think of my favourites? Have you tried any of these products? Feel free to let me know in the comments. And thanks for stopping by! Hi there! Today’s post is about my Halloween 2016 mani – blood & bats. I had the idea to do this mani when I did my Halloween Nail Ideas post earlier this month. In that post I showed you photos of a bat mani and a blood spatter mani – and back then I knew that I wanted to combine the two. So for this mani I painted my nails with Essence The Gel Polish 33 Wild White Days (1 coat). Then I applied a few blobs of red polish – Maybelline Colorshow 349 Power Red – with (a small piece of) a make-up sponge. 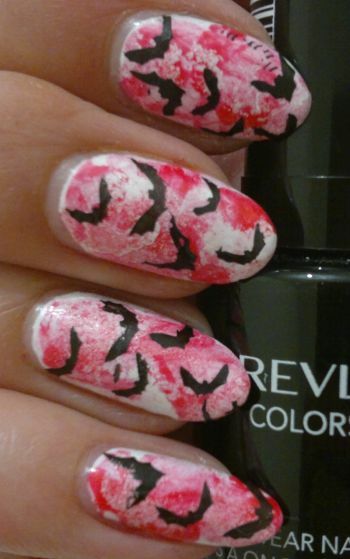 I used two no-name stamping plates – M94 (Konad dupe) and A13 – and my favourite black polish, Revlon Colorstay 270 Stiletto, to stamp on the bats. I’m also including this mani in my 31 Days Nail Art Challenge as #23 Inspired By A Movie. The movie would be ‘Bats’, a shockingly bad movie featuring bloodthirsty bats (and with plenty of shockingly bad acting). If you’re still looking for last-minute Halloween nail art inspiration, please check out all the manis I’ve done this month – they’re all Halloween-themed! I hope everyone has a Happy Halloween tomorrow. And thanks for stopping by! Hi there! 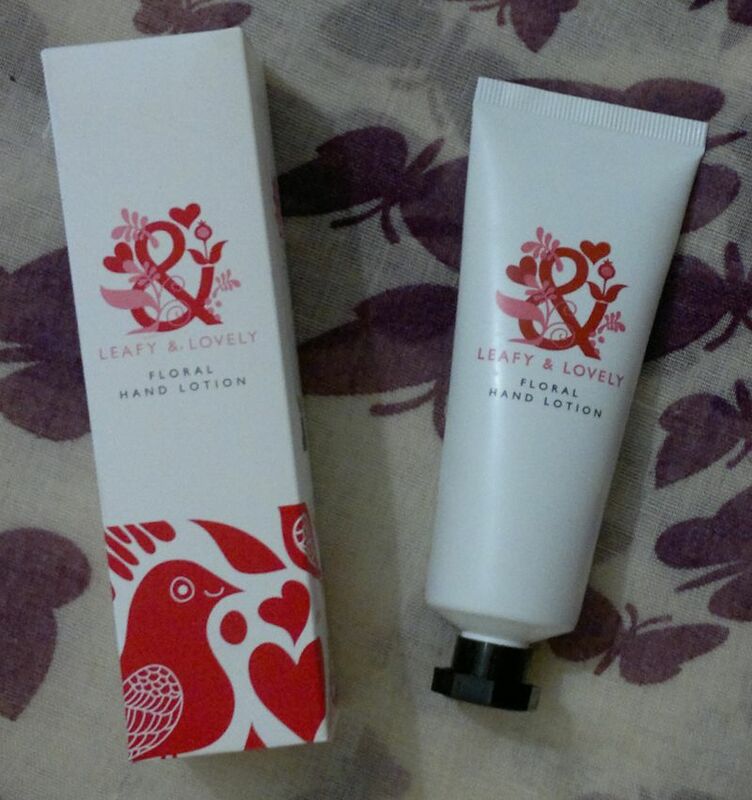 Today’s post is about Superdrug’s Leafy & Lovely Floral Hand Lotion – which I bought around Valentine’s Day. But since this hand lotion is still available (and it’s £1 only) I thought I should do a quick review. First of all, I love the fancy packaging. The design is really cute, and the hand cream tube reminds me of considerably more expensive hand creams from The Body Shop, L’Occitane or Roger & Gallet. So I think this hand cream is a budget luxury product! Another thing that’s great is that this hand cream isn’t sticky. It’s absorbed quickly, but it makes my hands feel silky-soft. Very nice! So if you’re looking for a budget luxury hand cream (for yourself or as a stocking filler or as a gift…), this is what you want! Superdrug’s Leafy & Lovely Floral Hand Lotion is available as 60ml for £1 which is excellent value. Have you tried this hand lotion, or would you like to try it? Feel free to let me know in the comments. And thanks for stopping by! Hi there! 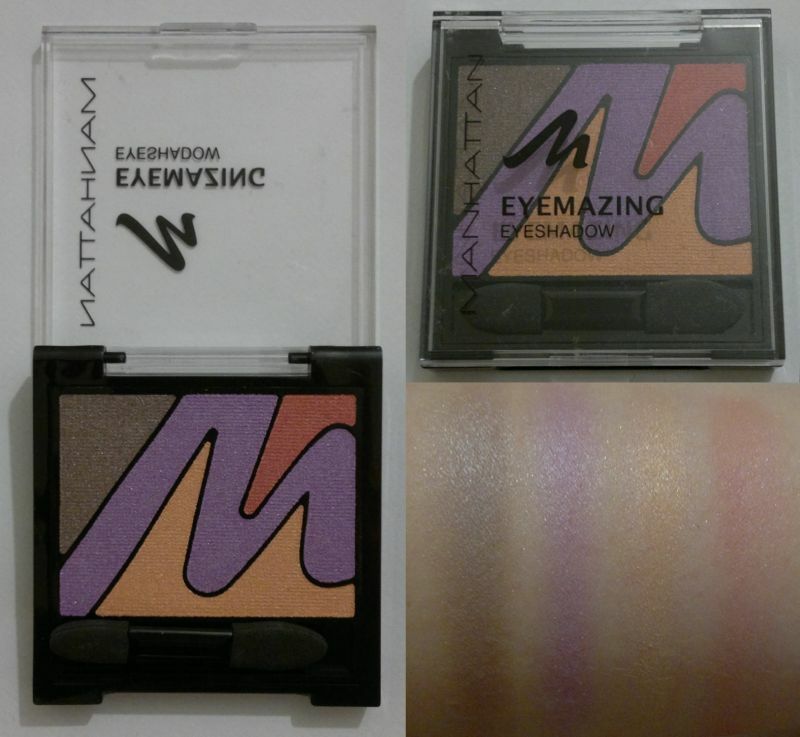 Not too long ago I found a few cute I Love… gift sets at my local Asda. Each set contained six different shower gels (100ml each). And there were two different sets to choose from – one of these sets was Christmas-themed, the other one contained summery and fruity shower gels. The fragrances in the fruity set were Coconut & Cream (I don’t like coconuts), Strawberries & Cream (I don’t like strawberry aromas in toiletries), Mango & Papaya (I have a big 500ml bottle of this one), Raspberry & Blackberry (I have several full size bottles), Lemons & Limes and Vanilla & Ice Cream. Only the last two shower gels were new (and interesting) to me, so I kept these. I gave the remaining four shower gels to a teenage relative. 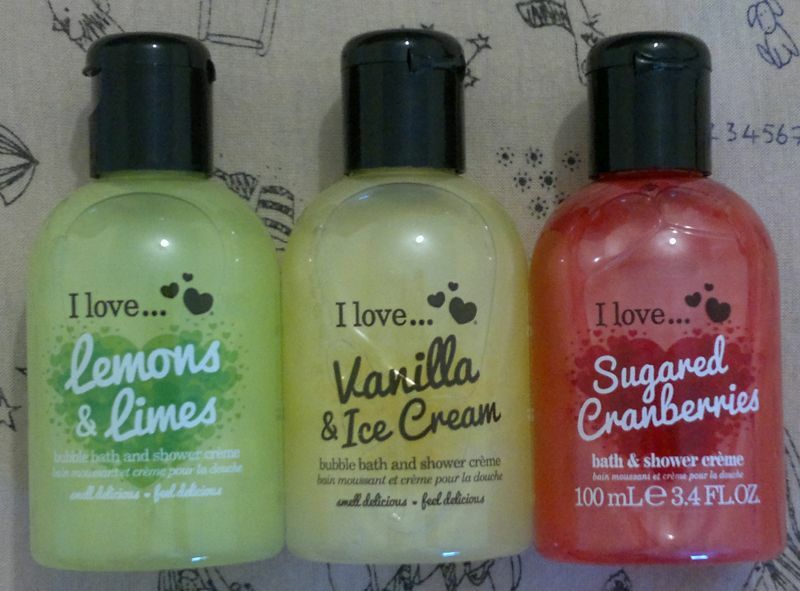 So today I’ll tell you if I Love… Lemons & Limes and Vanilla & Ice Cream Bubble Bath & Shower Crème are any good. I’ve also decided to include my thoughts on the Sugared Cranberries Bath & Shower Crème (this one was in the Christmas-themed set) in this review. I’ll be reviewing the remainder of the Christmas-themed keepsies shortly. I Love… Lemons & Limes is a decent shower gel. I don’t think this product is particularly moisturising, but it doesn’t make my skin feel dry. The fragrance isn’t too fizzy or too cool, it’s more like candied lemons and limes. So this one is definitely suitable for colder days too. I Love… Vanilla & Ice Cream is a revelation. Whilst the shower gel isn’t very moisturising, its fragrance is one of the most gorgeous vanilla fragrances I’ve ever smelled. It really smells like vanilla ice cream! This shower gel is that good that my husband snatched it – at least I got to use it once! 🙂 Too bad this one isn’t part of I Love…’s permanent collection. I’d be buying the big 500ml bottles all the time! I Love… Sugared Cranberries is a really nice shower gel. It smells sweet, fruity and warm, and I think it fits the sugared cranberries theme perfectly. It’s not the most original fragrance, but it’s definitely enjoyable! Hi there! 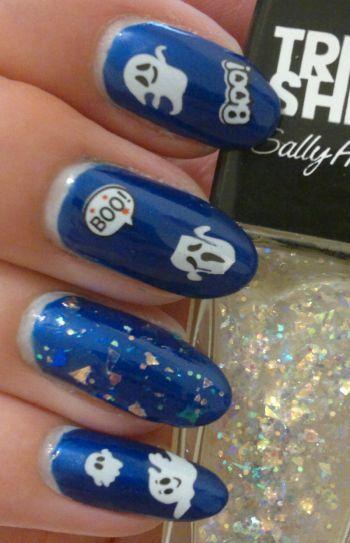 Halloween is just a week away, so I thought I’d do another Halloween-inspired mani which also doubles up as challenge #29 (Inspired By The Supernatural) of the 31 Days Nail Art Challenge. I painted my nails with Rimmel 60 Seconds 843 Midnight Skinny Dip (3 coats). Midnight Skinny Dip is a blue polish with a bit of an old-fashioned metallic finish. This kind of colour is often recycled for all kinds of Christmas-themed nail polish collections. Not my favourite. I wanted to do a glitter accent nail, and I chose Sally Hansen Triple Shine 300 Pearly Whites (which is a cheaper dupe for Color Club Covered In Diamonds). I love this flakie topper. It’s gorgeous and it goes well with any colour. Hi there! 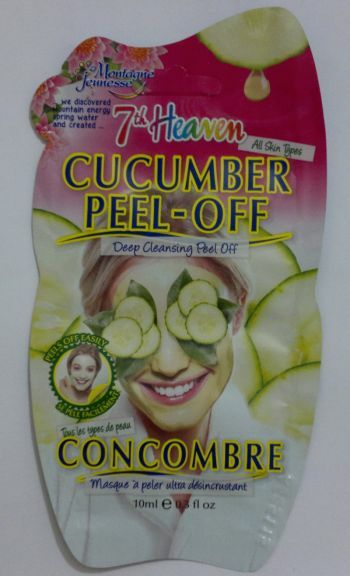 Today’s post is about Montagne Jeunesse’s Cucumber Peel-Off Mask. I know opinions on this one are mixed, and now that I’ve tried this mask, I have to say my own opinion is mixed too! Let’s start with the good: This mask is like every other peel-off mask. You apply it, you let it dry, you peel it off, you rinse off the residue – and then you can admire your clear and soft skin. Another good thing is that this face mask is 100% cruelty-free – it’s BUAV-approved and it carries the Leaping Bunny logo! However, the mask stinks. Big time! I’d describe its smell as boozy – and very strong. I can’t even smell a hint of cucumber. If this mask were much better than other random peel-off masks, I might be able to get over its unpleasant smell. However, it’s not better than other masks, so I won’t buy this one again. If you’re looking for a nice peel-off face mask, have a look at all the peel-off masks I’ve tried and reviewed.